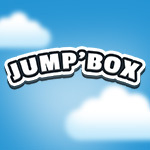 Here the new game I developed and designed: Jump’Box on Facebook. 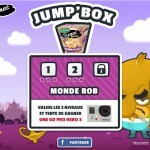 I create this game for a french agency Castor & Pollux for the french brand: Fleury Michon. I worked as game designer, level designer and sound designer. It’a simple but addictive platform game. You have to jump in the “Box” on the top of the tower. The gameplay is really simple based on the “Mr Crab” game. The hero always runs around the tower and only can change direction against walls. Only one input can make the hero jump. 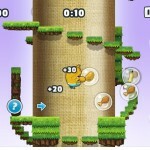 You can jump to avoid obstacles and kill enemies. You can play on 18 levels on 6 differents worlds with 6 different characters. And you can win several prizes like an iPad mini, a Sony PS4, a Camera, etc. It’s a fake 3D game but a simple 2D game engine with lot of effects: parallax, scrolling, smooth moves, shadows, etc. The final render is espacially beautiful. I used the Starling Framewok and the CitrusEngine framework to develop a Flash game with Stage3D.